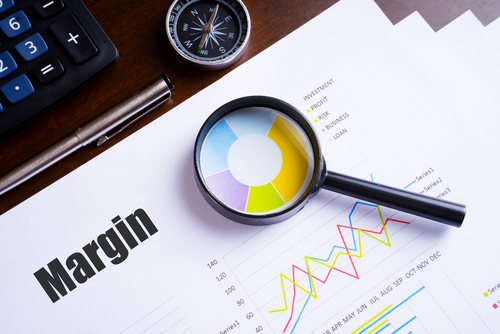 When it comes to figuring out a company’s net profit margin, this calculation gives a business and its financial officers a much better picture of the company’s profitability. Net profit margin determines the percentage of revenue that ends up as profit after expenses are accounted for. Represented as a percentage, it’s determined calculated by taking the company’s net profit divided and dividing it by the entire revenue. When it comes to calculating the net profit, it goes beyond the gross margin calculation, which only factors in the “cost of goods sold” – or how much the input materials and direct labor cost the company to produce saleable goods. Determining net profit includes factoring in the cost of goods sold figure, but also includes other expenses, including, but not limitedsuch as to payroll, lease payments, taxes, etcand others. Once all cash flow, expenses and costs are factored in, whatever amount remains would be considered the net profit. The total revenue is self-explanatory as it’s simply 100 percent% of a business’ sales in a defined time-frame. From there, the net profit is divided by the company’s total revenue., and then From there it’s multiplied by 100 to get the percentage or net profit margin. Ideally, the higher the net profit margin is, the better the financial health of a company generally has. However, a low profit margin for a period of time or over the long term doesn’t necessarily mean a business is poorly managed. There are many reasons why a low net profit margin may exist and persist. As Forbes and Sageworks points out, the higher the net profit margin is, the better it is for the company. However, there are some considerations when it comes to what’s expected on average for different industries. For example, looking at the data ending June 30, 2017, for the previous 12 months, the “Medical and Diagnostic Laboratories” industry saw an average net profit margin of 12.1 percent. Conversely, the “Accounting, Tax Preparation, Bookkeeping, and Payroll Services” saw a net profit margin of 18.4 percent. 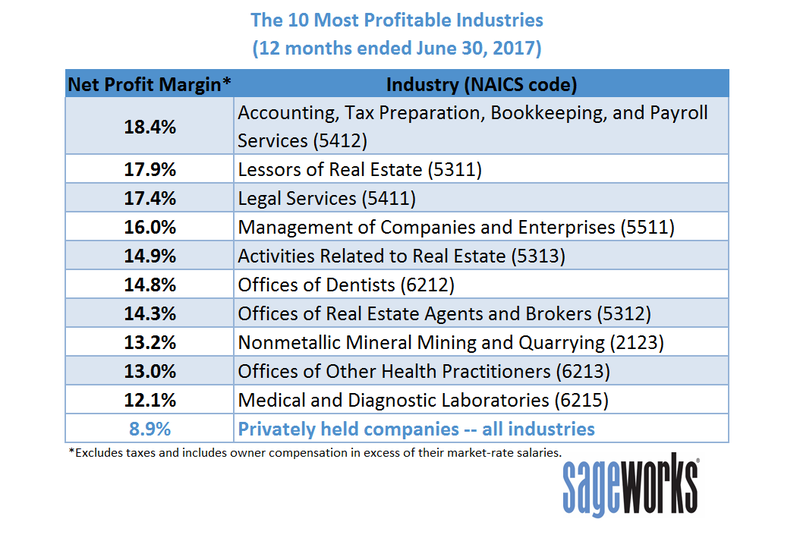 While these industries are on the high end, Forbes and Sageworks point out that other industries, such as the grocery industry, are still profitable, but do so by making their profits on lower margins, but with a much higher volume. Another factor that can lower a company’s profit margin is how its financing is structured. If a company chooses to incur debt financing to buy fixtures or pay employees to run operations, interest expenses, – especially initially – , could negatively impact a company’s net profit margin. If a business has recently sold a profitable (or unprofitable) division) and that sale has made a material change in revenue, especially for a single quarter, it can provide an anomaly in a company’s net profit margin calculation. Similarly, if business fixtures don’t get purchased or often or equipment is reduced, for example, net profit margin can be impacted noticeably. Regardless of the industry one works in, understanding what one’s a business’ net profit margin is, is another helpful tool in determining to account for how and why a business is making or losing money.